Packed with plump, juicy fruit with a warming hint of spice, fruit cakes are one of the most comforting varieties of cake. While they make a special appearance in many households over Easter and Christmas the fruit cake should be considered a perennial treat – they are, after all, made up predominantly of store cupboard staples and therefore perfect to put together in an emergency. Browse our collection of fruit cake recipes for advice on achieving the perfect balance of soft sponge and rich flavour. Karen Burns Booth's Christmas cake recipe is steeped in brandy to add festive flavour, while her Gluten-free Christmas cake is a fantastic option if you're catering for guests with food intolerance. 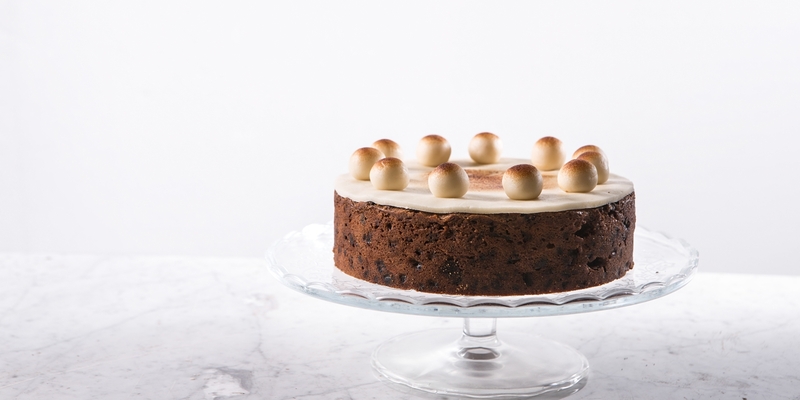 Sally Abé's Simnel cake is a slightly lighter treat for Easter, or try Paul A Young's Chocolate, ginger and cardamom tea bread for a flavour-packed treat for afternoon tea.